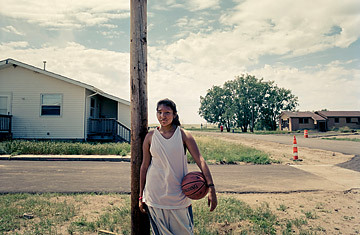 Spirit Grass, 13, is part of a family of six in Thunder Butte, S.D., who until recently survived on $3,500 a year. THERE IS NO SINGLE ARCHETYPE OF AMERICA'S POOR. They are low-wage workers, single mothers, disabled veterans, the elderly, immigrants, marginalized factory workers, the severely mentally ill, the formerly incarcerated, the undereducated and the fallen middle class. They live in Appalachia and the inner city and the wealthiest suburbs.